By Dan Ambrose: Former WBC/WBO middleweight champion Kelly Pavlik (37-2, 32 KO’s) feels he could beat either Carl Froch or IBF super middleweight champion Lucian Bute if he ever gets a chance against those guys. Pavlik, 29, doesn’t like the idea of fighting Bute in Canada, though, feeling like he’d need to knock the guy out cold to get the win. Pavlik also talked about how he’d prefer not to fight Bute in Canada, feeling like he’d have to put him on a “stretcher or hearse” in order to win. Pavlik being reluctant to fight Bute in Canada might make it impossible for him to ever fight him because as long as Bute has the IBF title, he’ll no doubt want a fight against Pavlik to take place in Canada rather than the United States, the home country of Pavlik. Pavlik hasn’t fought since struggling to beat super middleweight fringe contender Alfonso Lopez last May. Pavlik has had a lot of problems outside of the ring since that fight and is now training in Oxnard, California with new trainer Robert Garcia in order to try and turn his career around. 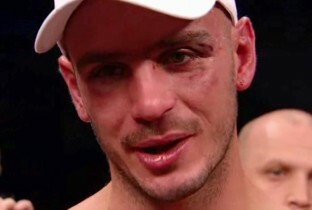 Pavlik suffered loses to Bernard Hopkins and Sergio Margarito in the past four years and those defeats, in addition to his alcohol related problems outside of the ring, has taken a lot of the shine away from Pavlik’s once promising career. He’s now in California where’s it’s hoped that he’ll be able to avoid the distractions that he had in his home city of Youngstown, Ohio. Now fighting at super middleweight, Pavlik is looking to make his ring return in April or May against an opponent still be determined. He’s got to get busy with his career so that he doesn’t fritter away any more time.